The safety enclosure has been designed to provide as much safety as possible. 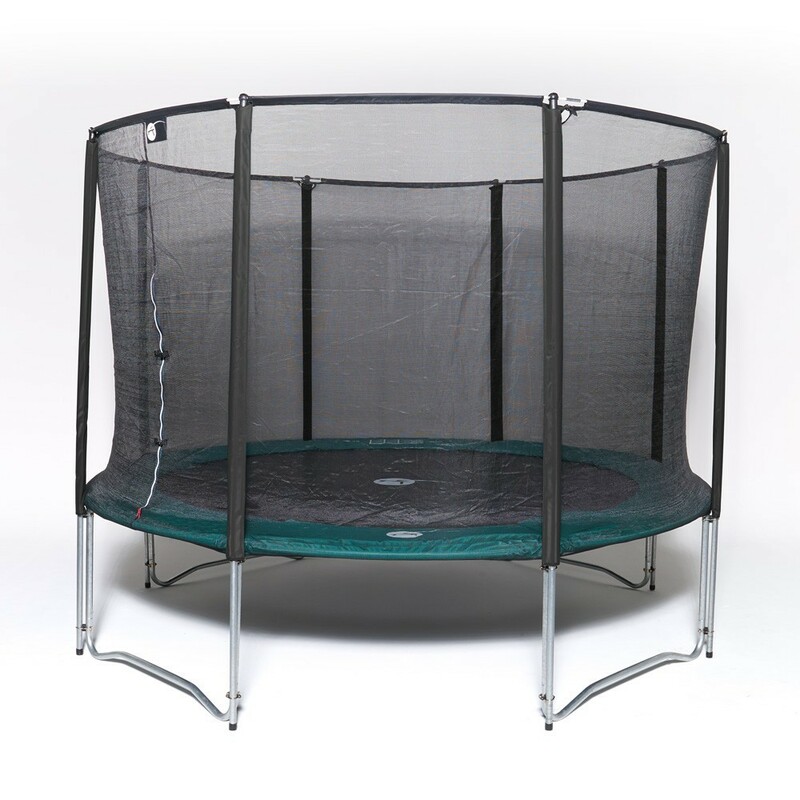 It is compatible with all round trampolines that have a 3.66m diameter, including those that are not France Trampoline (Jump'Up 360). - Entrance to the trampoline is secured with a vertical only zip door. 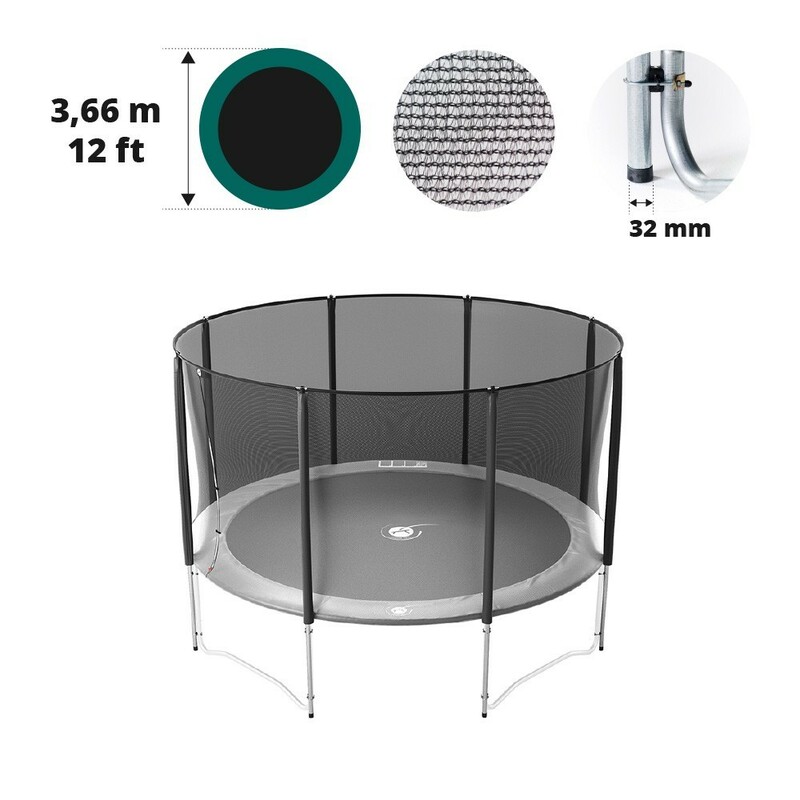 This system provides an easy access and to lock the door when the trampoline is in use. - The net is delivered with 8 fixing posts that stand on the ground and are attached to the trampoline in 2 areas, giving the utmost stability while using your trampoline. 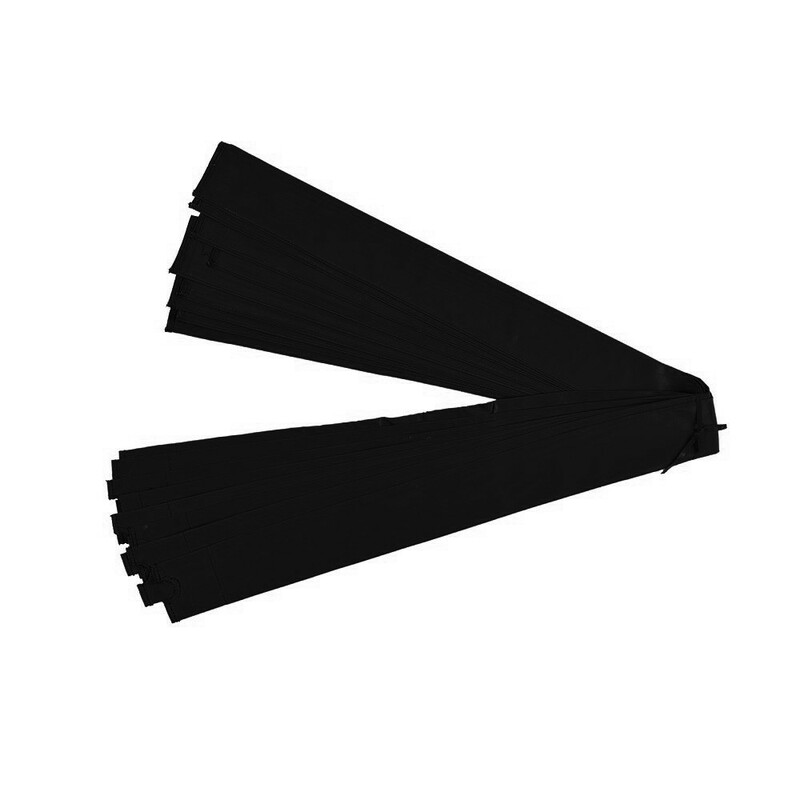 - The posts are designed to resist severe weather conditions. 32mm wide and hot dip galvanised they are resistant to corrosion and provide excellent robustness. You can leave them outdoors all year round. 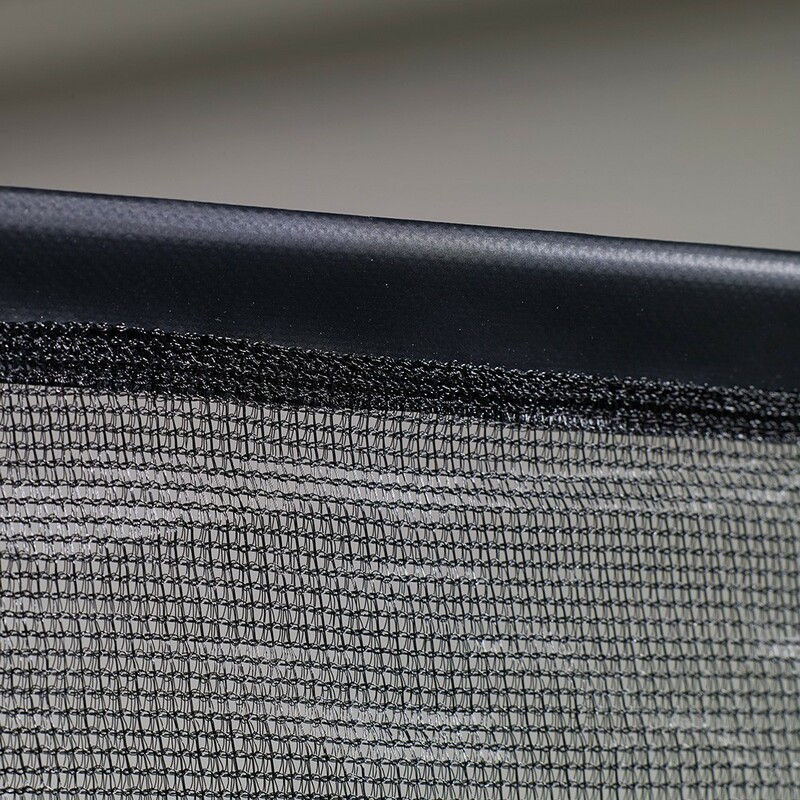 - The net is made from fine mesh polyester that will prevent children from getting their fingers caught while playing on the trampoline. - It is secured under the frame pad leaving no free space between the frame pad and the safety enclosure. 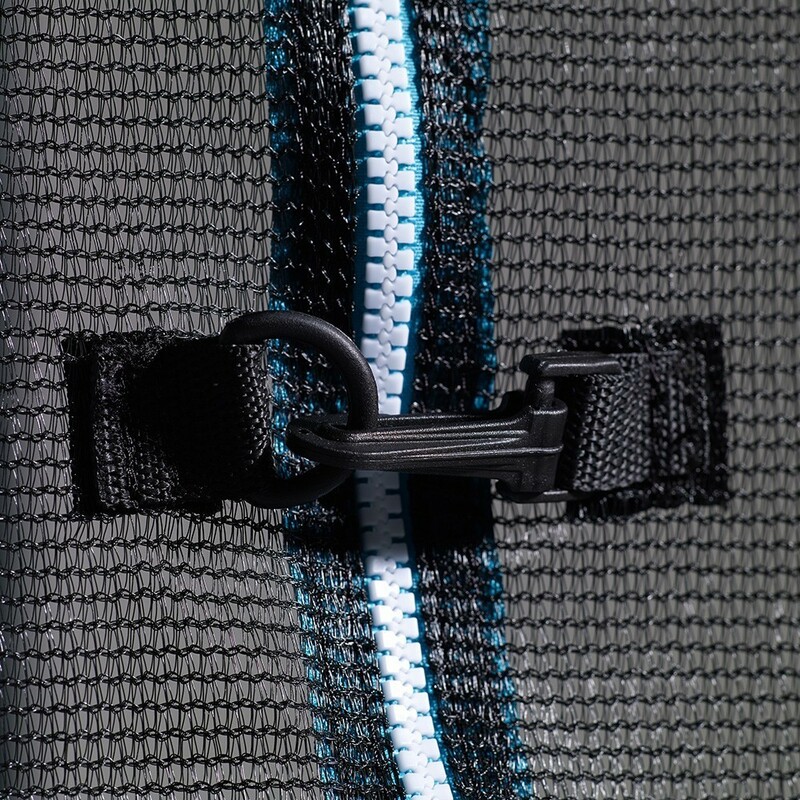 It is fixed using elastics that attach to the jumping mat hooks. 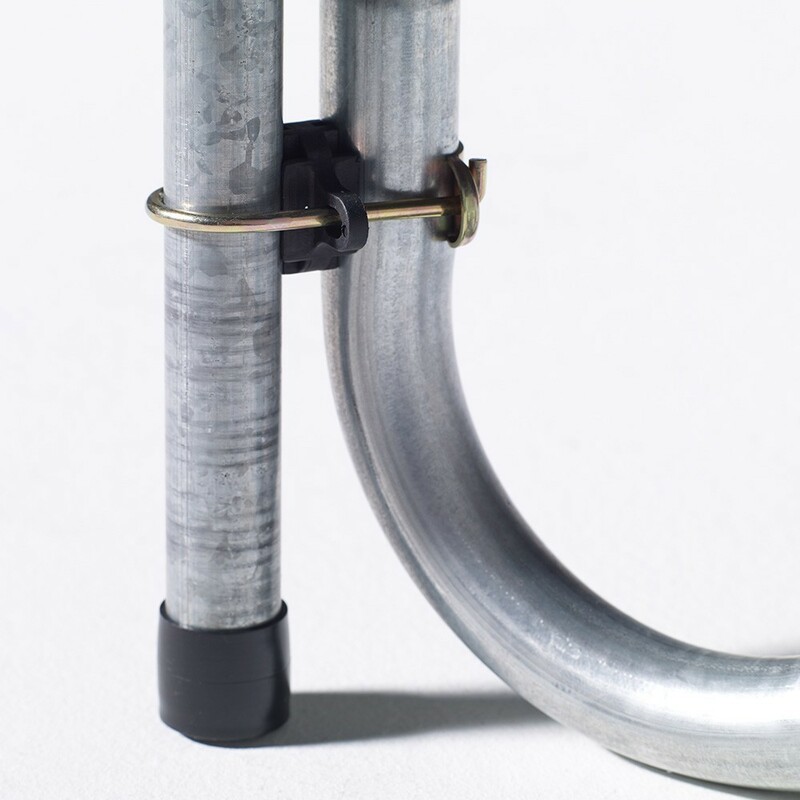 - The posts are covered in a cushioning foam and covered with a PVC sleeve, preventing injury if the jumper falls. 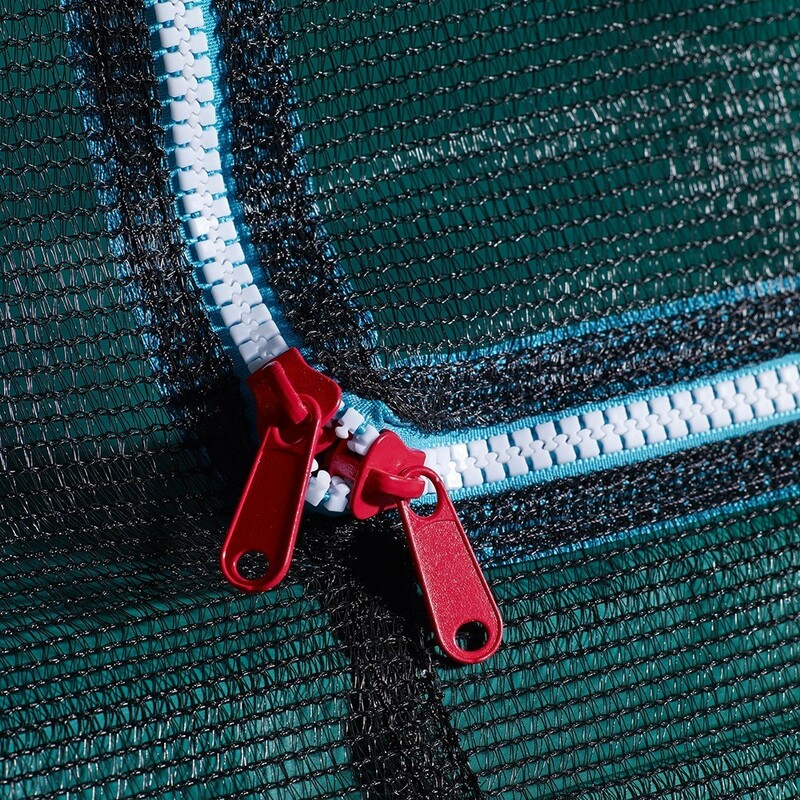 - The net is equipped with fiberglass rods that ensure a good tension of the net, allowing for a better protection for the jumper who in the case of a fall on the net, would be sent back to the jumping mat. This safety enclosure model is suitable for round trampoline with a 3.66m diameter. It fits Jump'Up 360 bought after April 2016.